Formally known as the Morell Meats building, Willow Studios is the most film-friendly location for productions of any size. Conveniently located in the heart of Downtown Los Angeles, the facility's amenities make filming simple and cost efficient. With 150,000 square feet of various built-out sets, production companies can film multiple scenes in one location without the cost and time of travel. Willow Studios boasts two enormous parking lots – ideal for crew parking and base camp. The studio's freight elevators and multiple loading docks enable crews to move in and out of the facility with ease. 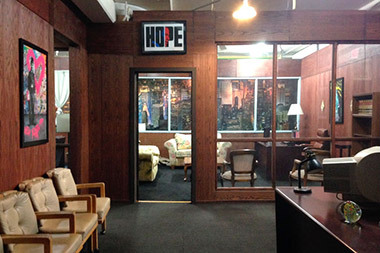 Props and furniture are available on-site and can be reconfigured to suit production company's needs. Willow Studios is also equipped with an ample 3 phase-3000 amp electrical system capable of powering most productions. The basement of Willow Studios is filled with industrial machinery, meatlockers, jail cells, solitary confinement units and multiple offshoot rooms. Perfect for horror or thriller shoots. The first floor is filled with multiple kitchen setups and a beautiful apartment setting with a living room, bathroom, and kitchen. It is also equipped with hair and makeup, and green rooms. The second floor has a variety of looks – art gallery, offices, long hallways, hospital room, cyclorama wall, police station, interrogation and line up rooms and an adjacent conference room. The third floor has a huge urban loft, separate apartment rooms, a run-down roof top loft, creative offices, a Law Firm office, conference room, police station and interrogation room. 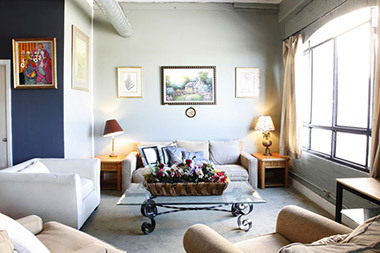 Willow Studios West 1 is approximately 12,000 square feet and have high ceilings. 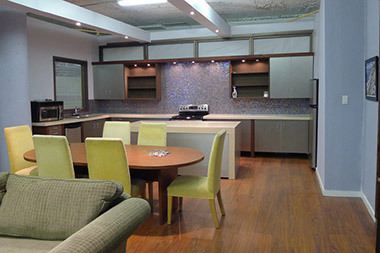 Raw and industrial, these spaces are suited for a variety of productions. Willow Studios West 2 is approximately 12,000 square feet, high ceilings, and just as raw and industrial as its next door neighbor, Willow Studios West 1. 1333 Willow is a free standing warehouse adjacent to our main studio. The space has a truly authentic look, with an angular roof, exposed brick, corrugated metal, and aged wood. Willow Studios contains several rooftops on different levels with multiple settings. 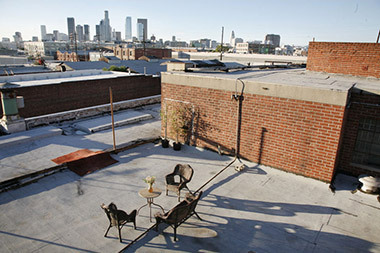 Each has an amazing 360 degree view of the Downtown Los Angeles Skyline. Willow Studios is equipped with two huge parking lots. 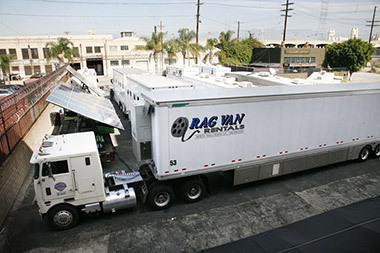 Depending on your production needs, you can rent one or both for parking or shooting. Additional parking in the alley available. Once a fully functional bar, situated in the corner of the parking lot, is a production's dream. With the look and feel of a real bar, you will never have to shut down an operating business. The Window Space is a newly remodeled studio. The space is over 10,000 square feet and gets great sun light. It is very versatile and could play as a loft, creative office, retail space, etc.